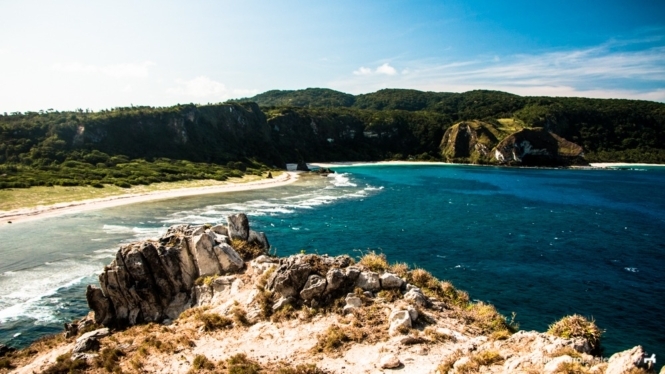 Calayan Island in Cagayan Province offers exotic and untouched landscapes, it’s a wonder it’s only starting to get noticed this year and only a little at that. Though it has recently been featured in Kapuso Mo Jessica Soho, the number of tourists in this municipality had so far been modest at best. 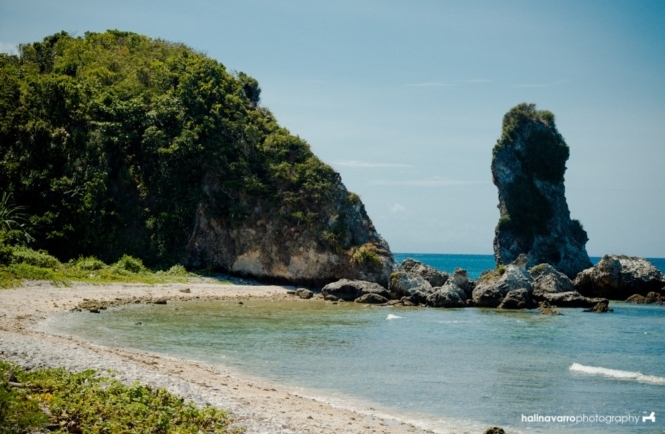 I’d already written about our 3-day stay in Calayan Island here. This photo set is meant to just give you a little more idea about what’s it like in this remote island in Cagayan Province, which is to say it’s basically an excuse for me to post a lot of photos and not feel guilty about disposing of editorial judgment when it comes to choosing what to post online. Hopefully encourage you to visit — as responsible tourists — during summer. The island is perhaps most known for the virgin beach of Sibang. Most backpackers choose to camp here overnight. 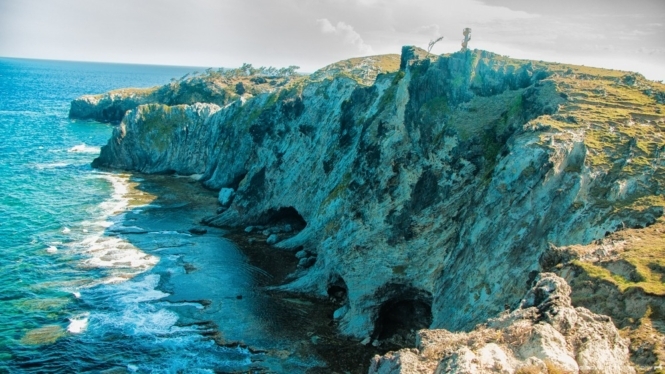 On weekends, local families also venture to this cove to unwind. It took us about 15 minutes to walk along the shore, under a hot early-morning sun. At the end of the cove, we found a thin water stream falling from a tall cliff. We woke up at about 3 AM and witnessed a beautiful display of the Milky Way. As you know, this view can only be seen when there is no or minimal light pollution, which is why it is visible in developed cities. 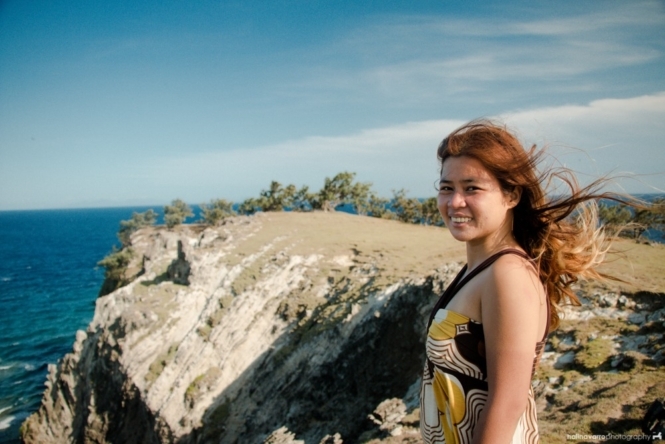 Another attraction in Calayan Island in Cagayan Province is the Nagudungan Hill. It offers a great view of Sibang Cove. A white lighthouse can be found in Nagudungan Hill. It is easily visible from afar. 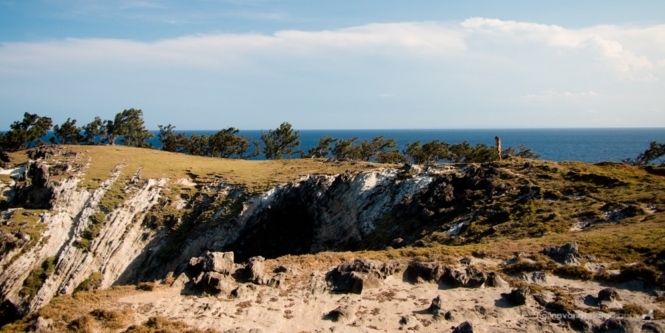 Nagudungan Hill is a vast grassy landscape home to pine trees bent from constant strong winds and cliff edges that offer amazing views of the sea and coves below. 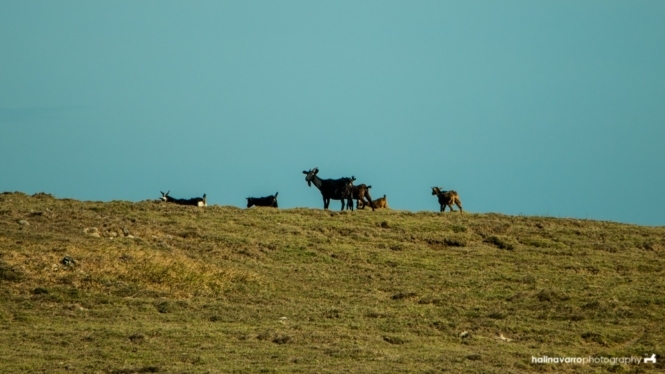 Nagudungan Hill is perfect for a whole afternoon of frolicking and lazing around, having a picnic under the shades or doing a prenuptial shoot. 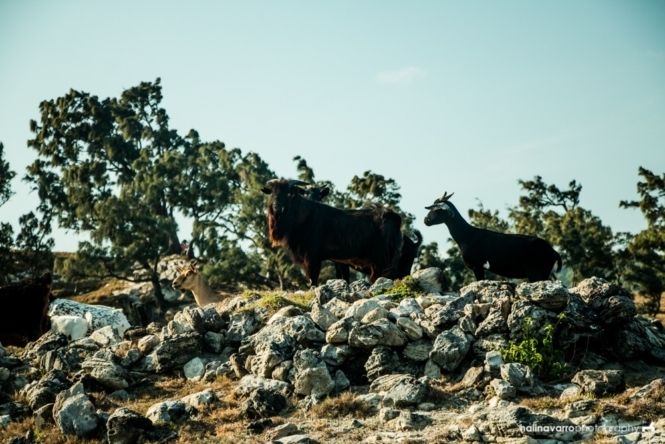 At the end of Nagudungan Hill, we saw a herd of goats grazing, sometimes standing on precarious cliff edges with sure footholds. They ran away whenever we tried to approached and finally formed together in a cluster. 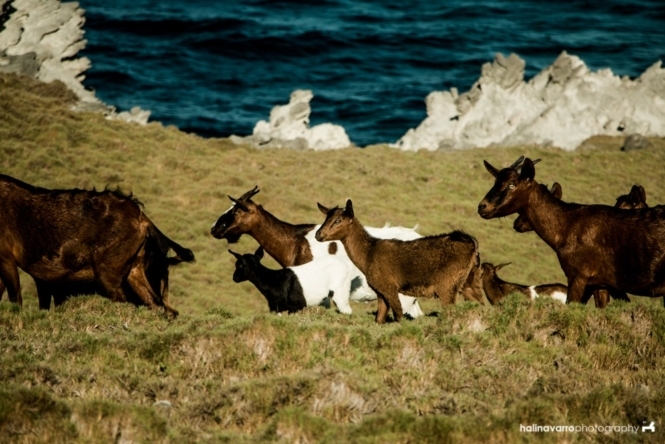 The small goats hopped like the cutest things on earth. More goats because who can get enough of them? 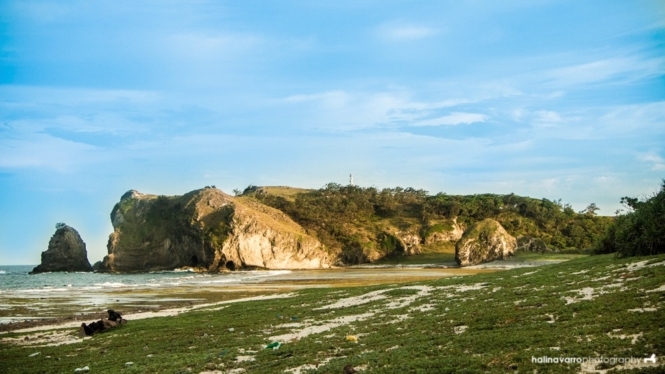 Nagudungan Hill has at least two hidden coves below as well as fascinating rock formations. Meanwhile, Lusuk cave features two entrances submerged in water. Attached on the cave walls are seemingly innocent shells. They are very sticky but can be scratched off using a metal rod. The shells house snail-like creatures inside, which can be made into a dish. 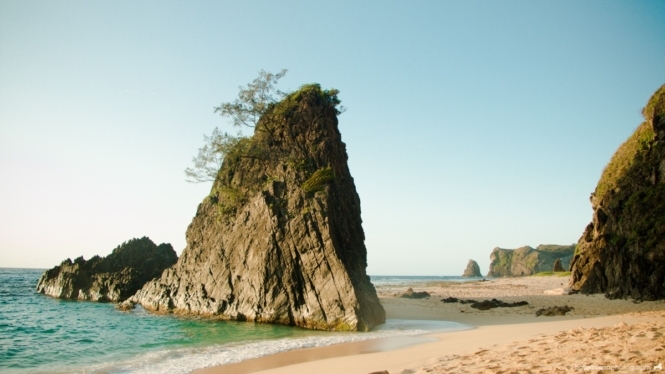 For the adventurous, Calayan Island in Cagayan Province also features the Tapwakan beach and cliff diving site. Going here is a challenge especially during high tide. We had to swim and climb to reach the cliff, all the while holding our cameras, dry bags and tote bags. P.S. Don’t forget to check out our Calayan Island experience here including a travel video of Calayan Island. 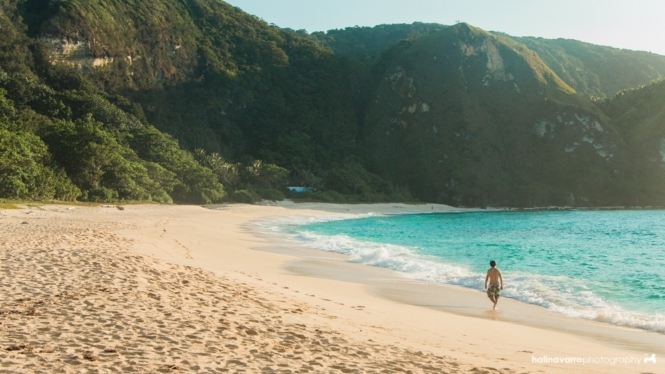 We’ve also shared a Calayan Island travel guide in here. If you like this post, feel free to share in Pinterest! This island has been on our bucket list for some time and still remains there. 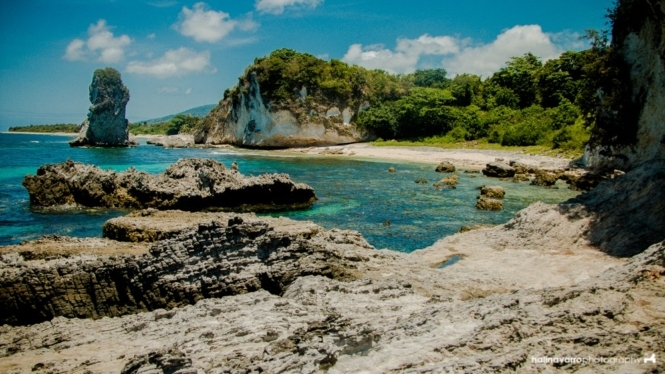 Haven’t been to Batanes yet but Calayan looks like Batanes with white sand beaches. Your photos are so beautiful! How much would we need though if we want to visit? I love that the stars can be seen at night which is a very hard feat to do here in Manila. Hi Den. Thanks for dropping by. I think we’ve seen each other in college! 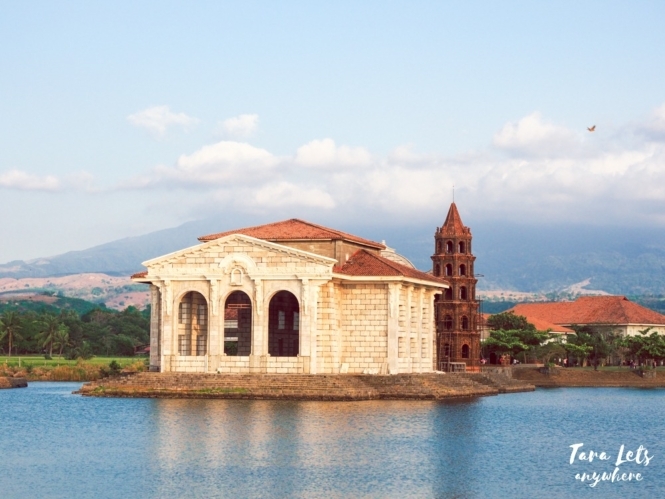 If you’re with a group, P6000 would be a safe budget for a 3-day stay. Absolutely beautiful. So here is the plan. Save money, for this trip, use the money to grow money, use the new money generated to fund the trip to Calayan. How much do I need for … 3 to 4 days? If you’re alone? I think P8000 would be a safe budget. 🙂 It’s much cheaper if you’re with a group. WOW!! I especially love those photos from the hill. 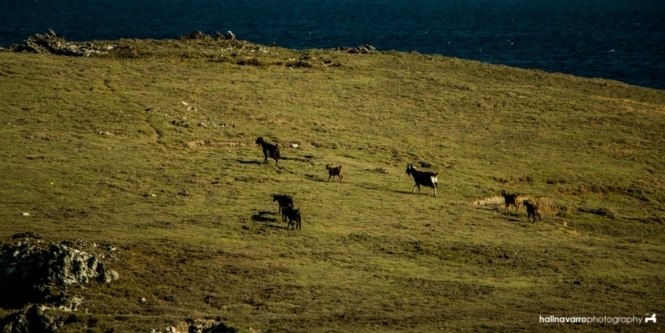 It’s a bit similar to some that I see of Batanes (I haven’t been there yet). You’re welcome! I’m excited for you as well. Ate talaga. Haha. 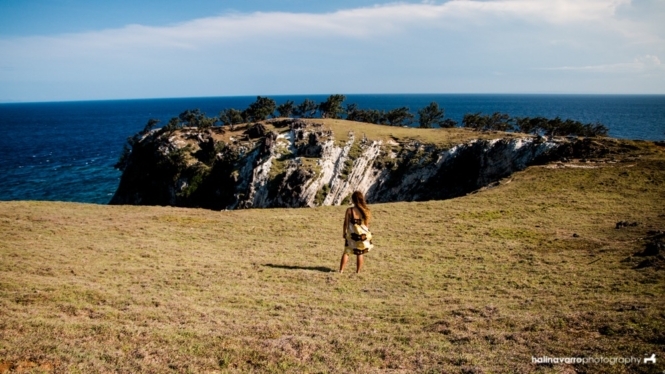 I’ve heard about Calayan island from a travel forum and people have been raving it. Looking at your photos, I can understand why. It looks so gorgeous! I am willing to take a long trip just to see this beauty. Wow ang ganda. I was swept away by the photos. Akala ko nasa ubang bansa ako. Thanks for sharing. I wish i could fly in a snap pa-Pinas! Thanks Kristina! I’ll extend the compliments to my photographer. 🙂 Hope to bump into you when you come home to the country. Yeah sure, why not…hahaha…I am from Lucban, Quezon. Have you been there for Pahiyas Festival? Deym shots! You capture the greatest moments of life photograpically and literally. Writer plus photographer – What a perfect match! The photos! <3 Can you camp out with the view of the Milky Way? 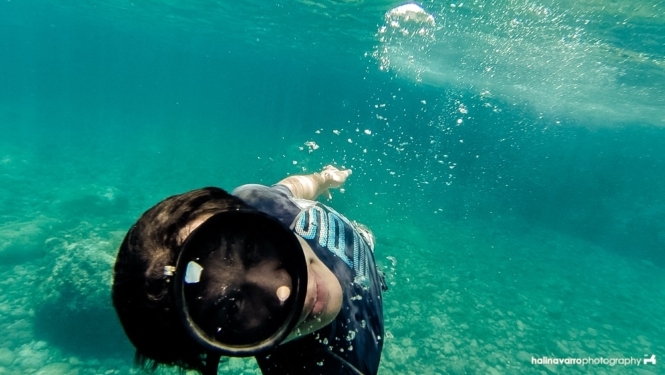 Your photos make me want to go swimming and dip myself all day in the sea. T__T Just makes me wanna cry and go back to Cagayan for more adventures. :(( Thanks for your post, envy the photos!